Christened “Globetrotter,” the study was conducted by the Max Planck Institute for Evolutionary Anthropology in Leipzig, Germany, Oxford University, and University College London. Using statistical methods, researchers analyzed the DNA of 1490 individuals spanning 95 global populations over four millennia. Since breeding between different populations yields a mix of DNA from each original population that is then passed down through the generations, researchers could use DNA tests on present-day populations to reflect genetic changes that occurred thousands of years ago. They were able to identify shared “chunks” of DNA between the populations, discovering which populations had a more shared ancestry. 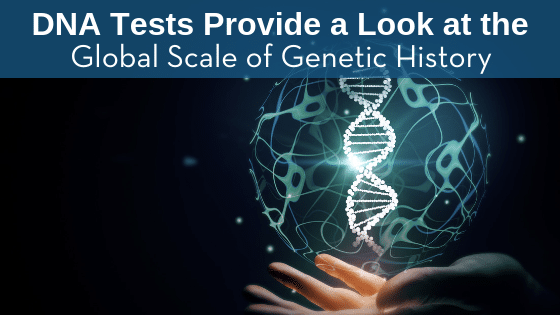 After analysis of the DNA tests, researchers were able to produce an interactive online world map that tracks genetic mixing through history. The study has shown correlations between genetic mixing and notable historical events, including the rise of the Mongol Empire, the spread of European colonialism, European trade on the Silk Road, and the Arab slave trade. For example, researchers deduced that the Hazara of Pakistan is descended from Mongol warriors. Modern-day Mayans have a mixed genetic background reflecting the entrance of Spanish and West African populations in the late 1600s. DNA tests from the Tu of China reflect how Europeans — genetically similar to modern Greek populations — mixed with the original Chinese population, probably because of the Silk Road trade routes. Although these historical populations are obviously not around to submit to DNA tests, the techniques developed in “Globetrotter” allow us to get insight into these historical events. Researchers also hope that their study could provide insight into how genetic material affects health and disease in various groups of people. You can learn more about your individual genetic background with a DNA test from Test Smartly Labs of Lee’s Summit. One simple cheek swab for ancestry DNA testing or ethnicity testing that can determine your DNA makeup. To learn more about our DNA testing services, contact Test Smartly Labs today at (816) 800-9699. We have five lab locations in the greater Kansas City area!